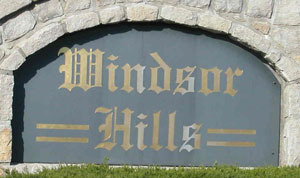 Windsor Hills is an upscale Overland Park neighborhood in Johnson County KS. I-435 & Antioch, South on Antioch to 156th Street. West on 156th.